Lea Davison '05, Megan Guarnier '07, and Sarah Groff True '04 are competing in Brazil for the red, white, and blue. 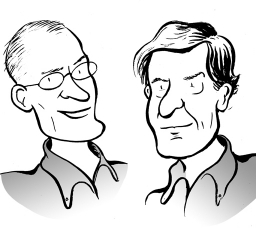 Middlebury political scientists Matt Dickinson and Bert Johnson weigh in on the presidential campaign. Listen to excerpts from a carillon performance by Amy Heebner ’93. The U.S. Green Buildings Council awarded the recently renovated building its highest ranking. Two professors discussed the history of tattoo and how it developed as a popular art form in Japan. French luminaria artist Renaud Auguste-Dormeuil capped off the festivities with a display of 800 candles representing celestial constellations.